Igor A. Kuzmin, Ph.D. is a Program Director at the Translational Research Program within the Division of Cancer Treatment and Diagnosis, National Cancer Institute (NCI). Dr. Kuzmin manages Specialized Programs of Research Excellence (SPOREs) in hematological malignancies and kidney cancer. 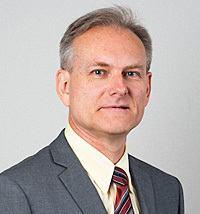 Prior to his appointment at the NCI, Dr. Kuzmin served as a senior scientist at SAIC-Frederick, Inc., a subsidiary of Science Applications International Corporation that provides research support to various NCI programs. He contributed to identification of several cancer-related genes on human chromosome 3p, including the von Hippel-Lindau disease tumor suppressor gene, RASSF1A, and FUS1. He authored 35 professional publications. Dr. Kuzmin received his M.S. from St. Petersburg State University, and a Ph.D. from the Institute of Cytology, Russian Academy of Sciences. Dr. Kuzmin’s training includes postdoctoral fellowship at the NCI intramural program. He is board certified in the United States regulatory affairs by the Regulatory Affairs Professional Society. He holds Regulatory Compliance Certificate from Hood College. Dr. Kuzmin is a member of the American Association for Cancer Research.